I think that this is great. I really loved how you detailed each day and the effects of the course over some time. I have really been interested and looking into ways to find inner peace. It doesn’t seem like a lot of time to take out of your day in order to listen to the course. Surely we can all spare 15-20min of our time each day, especially if it is going to help you in the long run. Thanks for stopping by Andy. It was actually harder to find 15-20 minutes per day than I thought it was going to be-espeically if you have kids or live with other people. But, it can be done! Very elaborate review. As I have always said to myself and other people, you cannot buy time and health. Personally, If it comes to my health I am willing to invest in it. The program seems to suit my lifestyle since it is online and I can just always go on it. Her method suits me, I like honest people and because of that I will support her. I agree! We need to really invest in our health more than ever in these modern times. Happy holidays to you too Nuttanee! Thanks for taking out time to share this In-depth piece about becoming a modern master . This kind of meditation is very well needed in our societies today for wholesomeness and healing .It is also exciting to know that such an in-depth course has a free online section to give its users an insight into what they are going to be getting. Also glad you achieved your goal at the end of the course. I have to say, I have thought about the idea of meditation, I have tried a couple of times although for some reason I just can’t sit still and turn my mind off!!! I think learning through a course from a professional would be very rewarding, the 20 powerful sutras sounds like something I would be interested in, it also sounds beneficial, although maybe I will think they don’t make sense like you! Thank you so much for sharing your daily experiences going through the process, that makes it so much easier to understand from the first day to the last!! Thanks for stopping by Juvette! Yes, the sutras are kind of weird, but they are time tested so I just went with it. Apparently Deborah is going tot each another course so we can have more in depth understanding of the history behind sutras, but for this course she just wanted to give her students an experience, but still provided enough background information for it to make sense. Thanks for such an informative review on this course! 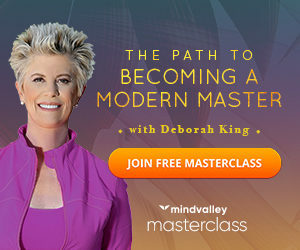 I love watching MindValley talks on YouTube, so I know that this must be a good course if they support it. 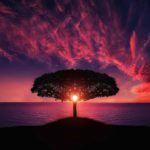 I have been really interested in meditation for quite some time, but don’t have a lot of practice with it and I’ve been trying to carve out some time in my morning to get started. I also really appreciate your tips on how to get started with this course – I think a journal would definitely help throughout this process. Yes I think a journal is really important! It is so easy to forget what you experienced in each meditation. Mindvalley has really influenced the direction of my life for around 6 years now. I just love them! Thanks for stopping by! I’ve never heard of Deborah King but it sounds like she’s been though a lot as a person. It’s always easier to take advice from someone who has experienced real life hardships and knows the healing process personally. Hi Hollie-yes it is most definitely challenging with kids. That was half my battle at first until I slipped into a comfortable early morning routine. I think it is the only way to do it!